The vital objective of this report is to analysis Fund Management of Industrial Development Finance Company. Other objectives of this reports are to give a brief idea about fund management of Prime Bank and to explain my duties and responsibilities in Prime Bank. Finally this report make swot analysis Fund Management of Industrial Development Finance Company. Industrial and Infrastructure Development Finance Company Limited (IIDFC) was incorporated in Bangladesh on December 19, 2000 as a public limited company. The Company was licensed under Financial Institution Act, 1993 by Bangladesh Bank on January 23, 2001 and started operation from May 2001. The registered office of the Company is situated as Chamber Building (6th Floor), 122-124, Motijheel C/A, Dhaka – 1000, Bangladesh. IIDFC Limited is a development financial institution, promoted by wide array of financial institutions like ten commercial banks, from public and private sectors, three insurance companies and Investment Corporation of Bangladesh (ICB). The Board of Directors of IIDFC consists of senior bankers, successful entrepreneurs and seasoned administrators. The management of IIDFC consists of highly qualified, experienced and motivated professionals. The objective of IIDFC is to promote and finance investments in infrastructure and industrial sector. Since its inception, IIDFC has played a catalytic role in providing alternative source of financing of capital assets to the private sector enterprises. The services provided included promotion and financing of economically viable industrial undertakings and infrastructure projects, lease financing for all types of machinery and equipment includes transport vehicles, participation in the privatization of financial and other public enterprises through acquisition or by providing technical assistance. IIDFC is active in arranging syndicated finance for large projects and is one of the market leaders in this segment. There is separate department for SME financing. IIDFC also offers Bill Discounting, Work Order Finance and other services. To give a brief idea about fund management of Prime Bank. To explain my duties and responsibilities in Prime Bank. Data were collected from both primary and secondary sources. Primary data were collected from personal observation and informal discussion with the employees of IIDFC. Secondary data were collected from relevant books, newspapers, IIDFC annual report, 2009 – 2010, published documents and office circular. Figure -1: This picture depicts that with time IIDFC enriches its long term deposit base. 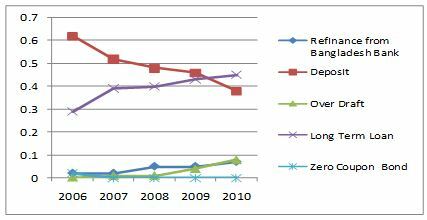 The fund flow from Bangladesh Bank refinancing has also increased with the expansion of business. 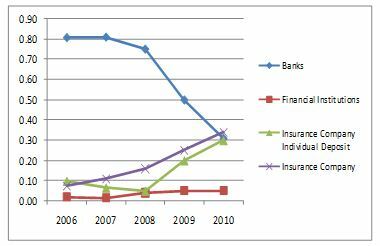 From the graph, we can see that in 2006, the company mobilizes deposits 80.7% from banks. The deposits amount from other clients other than bank and financial institutions were comparatively insignificant, but it can seen that the bank deposit sharply decreases in recent years. In the meantime, the deposits from Individual clients, institutional clients and insurance companies increases crisply. IIDFC faced a challenging task of mobilizing a high volume of fund at lowest possible cost. The main concern of managing fund is the cost of borrowed funds as IIDFC has limited money market functions like other NBFIs. It should be mentioned that as the bank and NBFIs are competing in the same sectors of business, it is tough for the NBFIs for obtaining funds at lower rate in comparison to Commercial Banks. Table-3: Investment made in recent years. 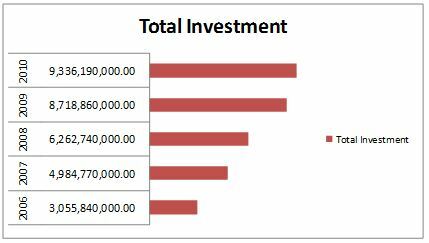 Table-4: The table shows how IIDFC has mixed its investment in different sectors. It is seen that IIDFC has increased its investment in more in Direct Finance and has decreased its investment from lease finance and has also gone for some secured overdraft facility recently. a) Asset- Liability Matching: As mentioned earlier, IIDFC is mostly dependent on Long Term and Short Term loans provided by Commercial Banks. It has 2 major drawbacks. First of all the fund flow is undiversified It is risky for any organization specially those who deals with public money. Second thing is, IIDFC’s asset means all the receivables, due rentals. On the other hand, liability side contains mostly the long term loans. Now the real scenario is, financial market of Bangladesh is very much volatile. So, when the money market is dry, the lender banks increase the rate of term loan that results in decreasing profit margin. On the other hand, if the market is easy and surplus fund is available, the interest rate of the loans will go down. It may result in prepayment of the lending. Third thing is, at the maturity of the term loans, the company has to mange a large amount of money as the term loans are generally of large in amount. It puts an extra pressure on the fund management process of the company. b) Stable Source of Fund In flow-Attracting Individual Deposit Customers: Individual deposits are more stable source of fund for the company. Each deposit of the individuals generally contains comparatively small amount of money. So, it is easy for the company to pay such small amounts at the maturity of those deposits. It doesn’t put an extra pressure on fund management process. Another thing should be mentionable that, most of the individual clients are interested to renew their fund at the end of the maturity as they started relying on the company as they get better services without paying any service charges. Another reason that most of the individual wants to reincarnate with the company is, most of the NBFIs of our country generally offers higher rate than Commercial Banks as they tried to compete with them and tried to grab the market share. The competition is tough as because general people have good faith on Commercial Banks than NBFIs. It should be mentioned that IIDFC takes prompt initiatives to build up a strong individual deposit base. For this purpose, IIDFC build sales team where about 10 officers are working to gather individual and institutional deposit. The total deposit amount of the company in 2009 was BDT 212,53,07,737. It is much higher than the amount of 2008 which is BDT 75,34,28,673. The simple maneuver of maintaining SOD account with those commercial banks is using the fund when the money market is extremely dry and the call money borrowing rate is tremendously high. IIDFC maintain a Fixed Deposit account with each of the above banks and can borrow 100% of the FDR amount any time when the company need it. The rate of the SOD borrowing is 8% to 11%. It is a quite lower rate as they charge OD interest 2% above the FDR interest payable to IIDFC. It is a great financial support in volatile money market condition when Call Rate touches the ceiling of 20% to 50%. It is very much noteworthy that during the end of the year, the highest Call Money Borrowing Rate was 180% which is tremendously high rate. The SOD accounts are a perfect proxy for those rainy days. Double Money Deposit: The depositor will get the double amount of their money invested within 6 years 3 months period of time. Triple Money: The depositor will get the triple amount of their money invested within 10 years period of time. Quick Loan Facility: IIDFC is providing quick loan facility up to 90% of the deposit amount for sudden unforeseen requirement of fund. The loan rate is 2% above of FDR interest rate which is lower than that of the general consumer loan interest. But the present Capital Market condition is totally different from the last year. We know that market index dropped near about 2500 points within last few months. The return from Capital market will be tremendously low in the year 2011 in comparison to the year 2010. It is remarkable that at present, Capital Market of our country is not in a very steady condition so that it can get over the immense loss in a short time. So, as the Capital market picture is very different from the previous year, we can predict that the company’s profit will be reduced in a great extent in the year 2011. Not only that the Money Market is implausibly dry from the last part of the year 2010 and it is still in the same condition. There is a substantial fund crisis in the market. IIDFC is passing a very hard time as it is very tough to get a sanction of term loan from the Commercial Banks, The existing lender Banks also increasing their term loan interest rate by 2% to 3%. IIDFC is not getting any Call money borrowing as there is also an upsetting fund crisis in Money Market. The company will retain a good amount of profit to cope up with the forthcoming possible difficulties as the market is very unbalanced. As the fund requirement of IIDFC Securities and IIDFC Capital is very unpredictable, it is real encumbrance in fund management procedure. So, the Senior Management Team instructed to this two subsidiaries to make approach to Banks and other institutions for getting term loan and term deposits by their own. In the case where a Bank or Financial Institution wants to lend money to IIDFC Ltd( The Parent Co) but not to the 2 of the subsidiaries, IIDFC will take the loan in their name. And then it will provide the required funds to the subsidiaries under direct finance contract where the interest rate of direct financer will be tagged with the interest rate of that term loan or term deposit. With the increasing or decreasing change in the rate of interest of those term loan and term deposit, the interest rate of direct finance will be changed accordingly. The company is focusing on its SME division as in the tight market condition, it is really hard for the company to retain there corporate clients. IIDFC has loosed many of their valuable corporate clients as they are not able to compete with the Commercial Banks as they can offer quite low rate for loan in comparison to the NBFIs. But the management think that it can be possible to attract and retain the small and medium business entrepreneurs as their valuable client. The Chairman of IIDFC is very much inclined to go for the activities of “CORPORATE SOCIAL RESPONSIBILITY”. He proposed to contribute a good amount of money from the company reserve to those families who returned from Libya as the country is going through desolating political unrest. The management is considering expanding the product line of IIDFC by opening a Bond Discount House. The proposal is in preliminary stage. Introducing various Annuity Based Savings Scheme: It is also considering the idea of taking public deposit in the form of annuity through DPS in order to ensure the small but certain and regular inflow. Assist the entire Treasury Team in diversified treasury work. Working with Treasury Team regarding term loan documentation issues, payment schedule, Tax Certificates and Legal & professional fees. Updating necessary documentations, such as ascertain KYC information, National ID of Term Deposit Clients. Coordinating with accounts department for submitting daily accounting vouchers for their records. Assist with accounting department updating of the new accounting software (Bankulator) and putting the entries in the system. I have joined IIDFC on 15th September, 2011 and still working over there. I was appointed to work in the Chamber Building (6th Floor), 122-124, Motijheel C/A, Dhaka – 1000, Bangladesh (Head Office). I was assigned to work in the Treasury Department. As an intern, I was given a lot of pressure by given so many works to deal with. At first I had some difficulties in attending my assigned works but with the assistance of my co-workers and my supervisor, it gradually became stable and suitable for me to work according to the pace. As I was an intern in the firm, I was always assisted by some senior employees in the firm. As it was not easy for me to do the works as an intern, I was first asked to observe how the works are done so that I can gradually do the work by my own. The work done in the treasury department was assisted by a total member of four employees where I was initially given work to update necessary information and to ensure that all the necessary information of the deposited client is properly attached with the Term Deposit Form and the Form is duly dilled. It was very important that everything is correctly done, as in the financial year end; auditors from Bangladesh Bank came for inspection to see whether the information was correct and put in order. KYC (Know Your Customer) forms in many occasions were missing. It occurs when customers renewed their deposits or the deposit mobilization team failed to properly organize the Deposit form. My job then was to properly organize them and put information, such as attach National ID, passport, others in terms of individual and Board Resolution or Tax Certificate in terms of corporate clients. IIDFC maintains records of existing clients (such as photographs of clients, ID or other documents photocopy) and my job was to attach them with the form and at times fill up the KYC forms that was attached with the Deposit forms. After completion of my first task, I was assigned to collect the term loans statements, amortization schedule from different banks and then reconcile it with IIDFC’s software. It was a difficult task, as the bank sometime takes time to provide the amortization schedule. Since, I work in the treasury department my job was to reconcile only the amortization schedule and the bank statements balance were reconciled by the accounts department but it was important that we coordinate with each other while doing our reconciliation or else there might be some complicacy. In IIDFC each and every department have to do their own vouchers and at the end of the day provide the printouts to the accounts department. The treasury department has to go through huge no. of transactions so the amount of vouchers is huge. At the end of the day, when the voucher submission is due, I have to ensure that all the vouchers are available and properly ordered with necessary supporting and then I handed them over to the accounts department. Currently I am working on the Banklutor (the new accounting software), I am working as a representative of the treasury department. As the company is switching to new software (the previous was named Fintelligent), they have to keep a record of their old data in the new system and the employees have to be familiar with this new software. My job is to give entries of some of the old data of the treasury department and help the treasury department stay updated so that they don’t have any backlog when the office completely move to the new system. Working in the firm has given me a lot of experience of how to deal with clients, how to manage works in different situation. My supervisor has helped me learn a lot of things real corporate world by daily assigning basic works and help me to motivate to keep patience during difficult times and work under pressure. IIDFC has completed almost 11 years of successful career in the financial sector. At the initial stage of business, every institution goes through the difficult stage of survival, and IIDFC has managed to survive and is looking forward to a bright future. 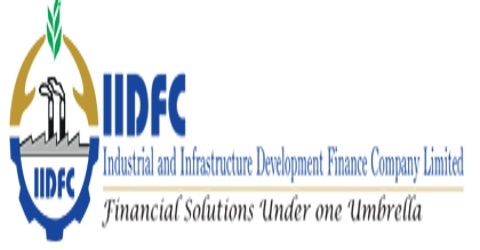 One of the most unique feature of IIDFC among all the other financial institution is that it is consisted of ten banks and three insurance companies and ICB. Regarding the current market situation, IIDFC like all other financial institution is struggling as the cost of fund rises by about 3-4%. As per chapter-2 of this report, IIDFC is trying to divert its deposit preference from banks to individuals, the reason proves to be right if someone look at the current market scenario. The fund taken from banks costs a minimum of 14.5 to 16% whereas the public deposits costs between 13.33 to 14%. So, the chance of losses goes down and the risk is more diversified. Also, the fact that for each individual deposits the interest payment amount is lower compared to the installment that need to paid for a long or short term loan from banks, so it’s easy for the company to pay such small amount at the time of maturity. The SODs are also very handy at situations like this, as the rate is only2% above the FDR rate. At such crisis situation IIDFC may have difficulty in the short run, but the steps or strategies they are trying to develop will help them in the long run. During the internship period, it was a unique opportunity for me to learn about the practical work and official accounts and finance system in a reputed organization. This internship has improved my knowledge and helped me know a lot about the real market situations about the NBFIs to a greater extent.